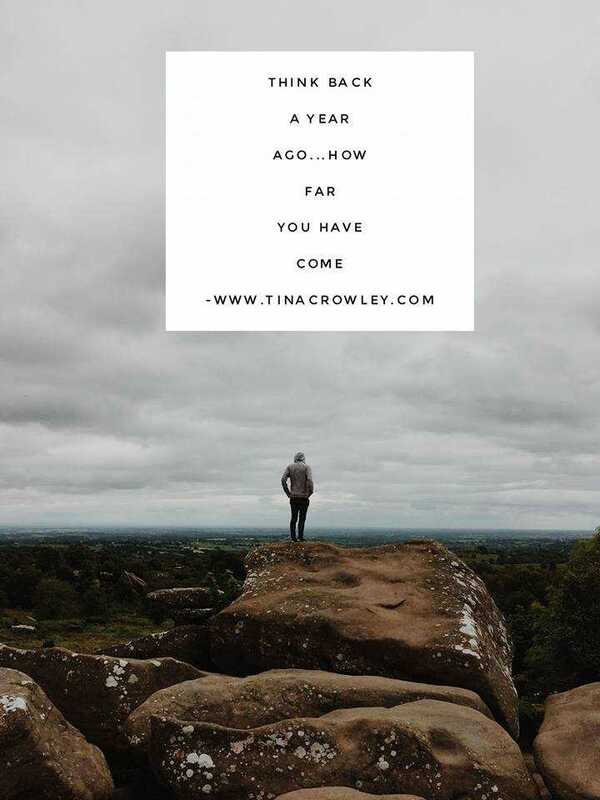 This morning i was sitting here and drinking my cuppa and guilty of scrolling through Facebook as i do every morning and a little quote caught my attention….Think back a year ago and look how far you have come? how often do you or I actually sit back and take a look at what we really have achieved or overcome? I sometimes find myself so caught up in looking to the future that i forget to look at NOW this moment, and how I got here to this place right now! Do you just remember the big achievements as the only progress? but guess what it was all the little steps, little changes, little decisions that actually got us our BIG memorable achievement, do you remember those? You see life is all about the little steps, the little tiny inconceivable actions and decisions we make every single day, from the bag of crisps we decide to stop eating daily results in a tiny weight loss every month but by the end of the year the results are a massive 3 stone and 2 dress sizes down! Consistency! add that in to the mix and BOOM you will work towards your dreams and goals a lot easier and faster, it’s just that little extra positive action everyday that will see you achieve. My biggest point here though is for you and I not to forget to live for the moment and be present now and enjoy what we have NOW, we truly have to appreciate now even if it isn’t quite what or where we want to be, there is a reason why we are at this point in our lives, always a lesson to be learnt.